Coverall Roofing is a BBB accredited, licensed and award winning contractor that excels in roof replacement and roof repair work. 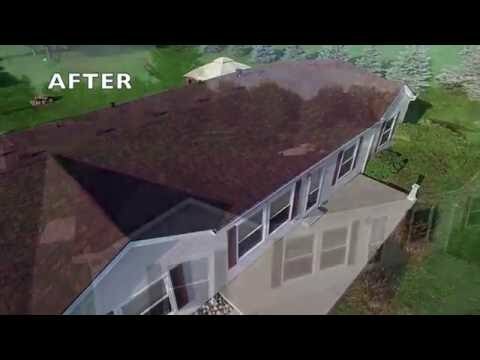 At Coverall Roofing we offer many high quality and affordable roof replacement styles and options that pays for itself through durability & massive energy savings. Make sure to view our very satisfied customers in your local neighborhood by viewing our before and after pictures and customer reviews. Get a FREE estimate today on a roof replacement or any other service by clicking the FREE estimate button below. At Coverall Roofing we go above and beyond the basics to make sure your job is done properly. We start with leadership and accountability. We plan your roofing project and assign you highly trained personnel who have earned expert status as top roofing contractors. The Coverall Roofing Difference provides you with an on-site foreman from start to finish. His role is to direct the work, perform quality checks, and keep you informed. The first orders that go out will be to secure the area before we start work. At Coverall Roofing, we prep the ground by moving chairs, tables, grills, landscaping pieces, and anything else that could be damaged by falling shingles. We tarp off the ground around the home, as well as the home itself to protect siding, screens, and shutters. Once the site is properly prepped, our installers begin the Owens Corning PRIDE installation. The benefit of this formal process is to ensure that the entire team is working in unison. This means that your roof will be installed properly and in the most cost effective manner possible. We follow the items on the roofing installation checklist below and double check everything to ensure the most professional installation you can receive - it's why Coverall Roofing is highly rated throughout the state of Michigan. We meet with the customer (if possible) to make introductions and discuss the job. Our team performs an on-site assessment and finalizes the project plan. We prep the grounds and tarp the necessary areas. Install Ice and Water barrier in valleys and wrap the chimney, skylights, and flashwalls. Remaining exposed roof deck is then covered in either a heavy felt or a high performance deck defense synthetic. New drip edge is installed on the eaves and rakes, and starter strips are used. Shingles are installed with 6 nails per shingle. Many companies use only 4 or 5 nails. New pipe boots and covers are installed. New can vents or a ridge vent is installed. The home gets capped, and the gutters and yard get cleaned up. Magnets are run around the home numerous times to collect the nails that may have fallen during the tear-off process. The foreman reviews the completed project with the customer. Any questions or concerns are addressed at this time. We do not leave the job site until you are satisfied. The longer you wait for a roof replacement, the more time your home has to suffer through the elements unprotected. A new roof is a smart investment that will save you time and money in the long run and will add value to your home. We're ready to put our roofing contractors to work on your next project. If you live in Farmington, Rochester, Troy, New Haven, Grosse Pointe, Sterling Heights, Macomb, West Bloomfield, Clinton Township, Waterford, Saint Clair Shores, Utica, or areas nearby, schedule a free estimate with Coverall Roofing today!